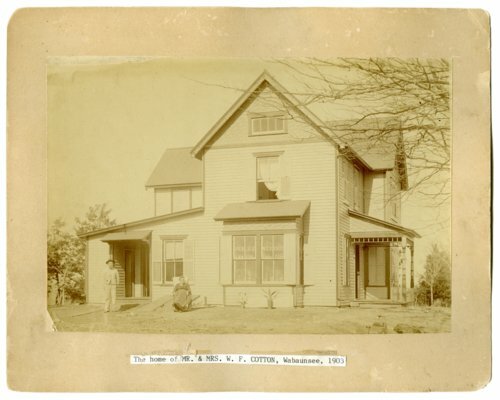 Photograph of the residence owned by William Frost Cotton in Wabaunsee, Kansas. He and his wife, Helen Mar (Genn) Cotton, married in Atkinson, Maine, on May 9, 1852. He was a charter member of the Beecher Bible and Rifle Church, having settled in Wabaunsee in 1856.